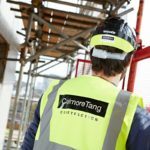 Colmore Tang Construction (CTC) has launched a specialist arm to provide a bespoke service to housing associations and providers of social housing. Colmore Tang Living aims to source land in the east, west and south Midlands to deliver up to 100 high-quality houses per site. It promises to be a valuable asset to housing associations that have begun ambitious acquisition programmes to satisfy the need for land to deliver 250,000 new homes over the next five years, said Andy Robinson, CEO of Colmore Tang Group. The organisation has said that the launch of Colmore Tang Living will also enable it to enter the off-site manufacturing market, building the houses using modern methods of construction.